Discussion in 'E36 (1992-1999)' started by brunp, May 1, 2013. It looks like part 21 contains part 27, but not sure. Could anyone here confirm this at all? What other internal elements should I be concerned with. I did price out the wheel well liner, these two parts, the left/right M3 brake ducts. I just don't know if I need the left/right sealer (Part #30) or Part #11. 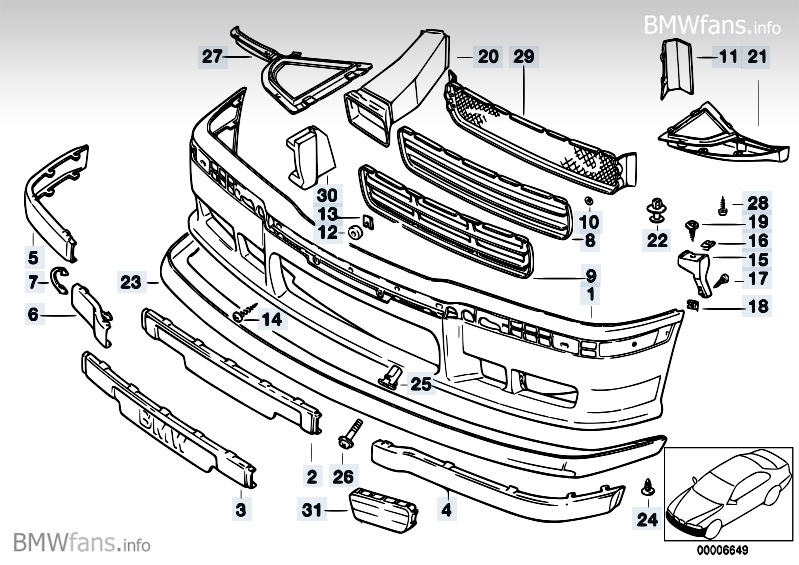 The M3 was in a minor fender-bender, but the people rebuilding it didn't do replace the missing parts. I highly doubt they are a set. Looking at realoem they seem to be at different locations.